He said that Pema Khandu has joined the People’s Party of Arunachal (PPA) which is allied to the NEDA which in turn is under the NDA government. 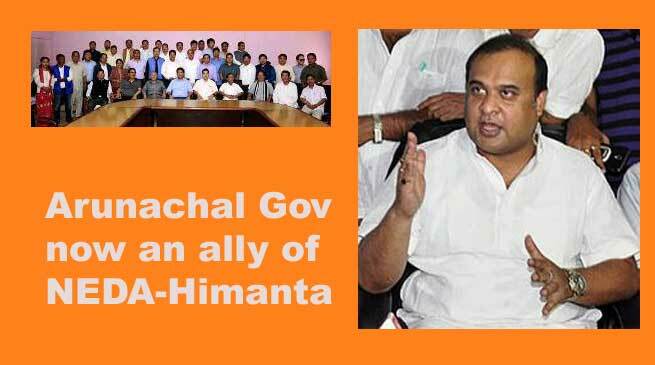 Hence it is clear that the current government of Arunachal is one that is supported by the BJP. It must be noted that 43 out of the 44 Congress MLAs in the Arunachal state assembly have joined the PPA which is party to the NEDA. As the NEDA is under the BJP led NDA, hence from henceforth the current government of Arunachal is now under the NDA.